ab126556 involves incorporation of BrdU into cells cultured in microtiter plates using the cell layer as the solid phase. During the final 2 to 24 hours of culture BrdU is added to wells of the microtiter plate. BrdU will be incorporated into the DNA of dividing cells. To enable antibody binding to the incorporated BrdU cells must be fixed, permeabilized and the DNA denatured. This is all done in one step by treatment with Fixing Solution. Detector anti-BrdU monoclonal antibody is pipetted into the wells and allowed to incubate for one hour, during which time it binds to any incorporated BrdU. 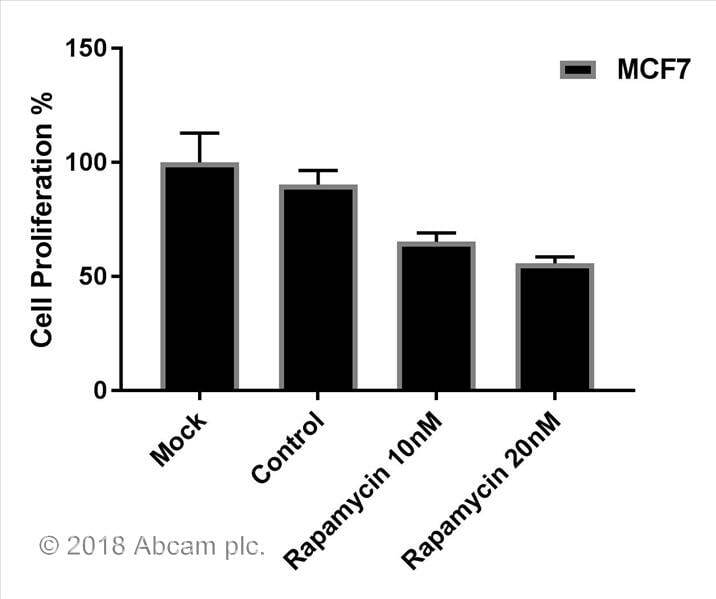 Unbound antibody is washed away and horseradish peroxidase-conjugated goat anti-mouse antibody is added, which binds to the Detector Antibody. The horseradish peroxidase catalyzes the conversion of the chromogenic substrate tetra-methylbenzidine (TMB) from a colorless solution to a blue solution (or yellow after the addition of stopping reagent), the intensity of which is proportional to the amount of incorporated BrdU in the cells. The colored reaction product is quantified using a spectrophotometer. 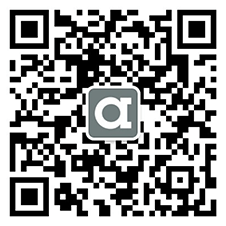 Our Abpromise guarantee covers the use of ab126556 in the following tested applications. Detection of RH7777 (adherent) cells per well with 2 hour pulse with BrdU. Y axis - left, OD 450-550 nm. Y axis-right, signal -to-noise ratio. 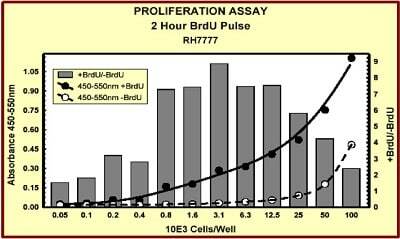 Detection of RH7777 (adherent) cells per well with 24 hour pulse with BrdU. Y axis - left, OD 450-550 nm. Y axis-right, signal-to-noise ratio. Detection of Jurkat cells (non-adherent) per well with 2 hour pulse with BrdU. Y axis - left, OD 450-550 nm. Y axis-right, signal-to-noise ratio. 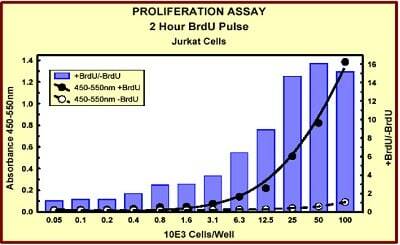 Detection of Jurkat cells (non-adherent) per well with 24 hour pulse with BrdU. Y axis - left, OD 450-550 nm. Y axis-right, signal-to-noise ratio. Detection of MCF7 cells per well with 2 hour pulse with BrdU. Y axis - left, OD 450-550 nm. Y axis-right, signal-to-noise ratio. Detection of MCF7 cells per well with 24 hour pulse with BrdU. Y axis - left, OD 450-550 nm. Y axis-right, signal-to-noise ratio. Followed the same protocol as per booklet.. This BrdU assay offers a quick and reliable approach to the assessment of cellular proliferation. However, the prediluted primary antibody (20 ml) will not suffice for 200 tests if you use a multichannel pipette due to pipetting errors.